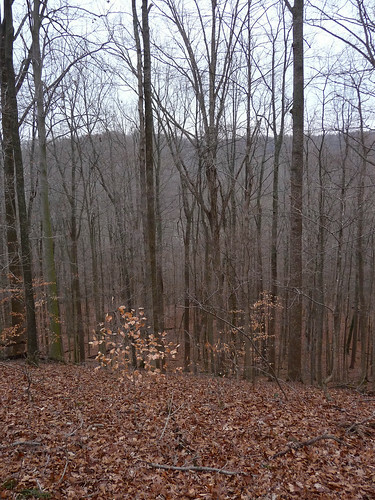 On Saturday, Dave and I went hiking at Yellowwood State Forest. He had spotted something on the satellite view in Google Earth that looked like an undiscovered pond, so we set out to see if we could find it. We started on a horse trail, and hiked up a hill. 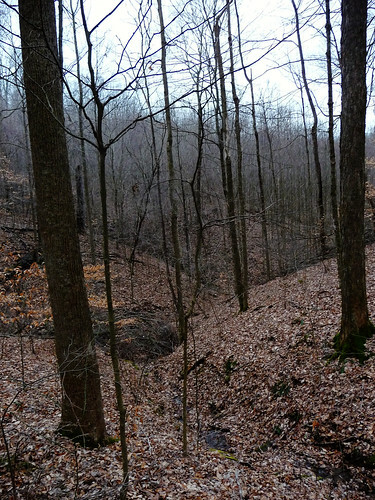 Once on the ridge, we bushwhacked down into a ravine. We saw a creek at the bottom, and worked our way down. 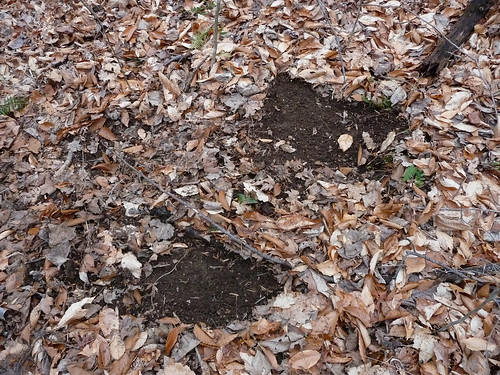 Along the way, we saw bare spots where turkeys had made their beds. 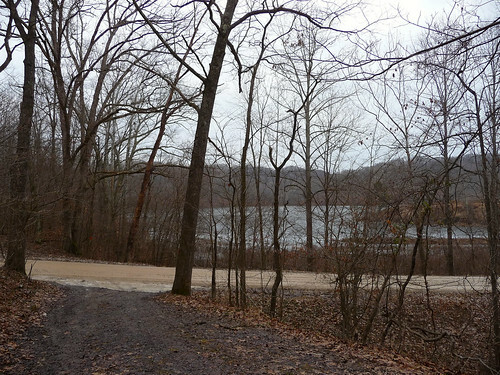 We didn’t find a pond, instead, we followed another, very muddy horse trail out to a nice view of the lake. 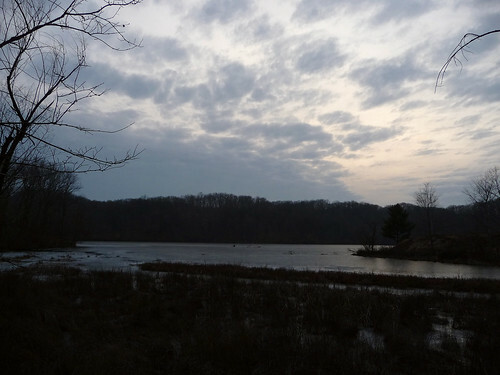 We turned around and got on another trail … just because we didn’t find the pond didn’t mean we couldn’t hike more. 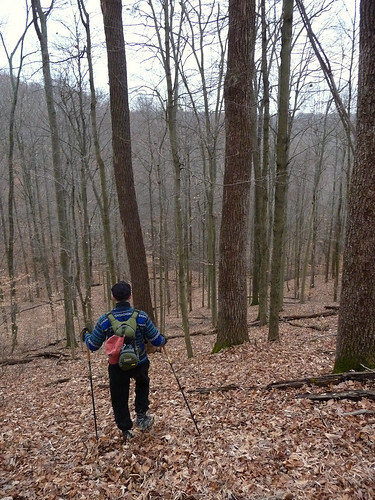 We climbed a bigger hill on the 10 O’Clock Line Trail, a 14-mile trail that ends in Brown County State Park. Once we reached the top of the hill, we followed some horse trails for a while on some narrow ridges. We looked through the trees and thought we spotted a pond. Dave got out his binoculars and it was pretty clear there was SOME kind of water down there. 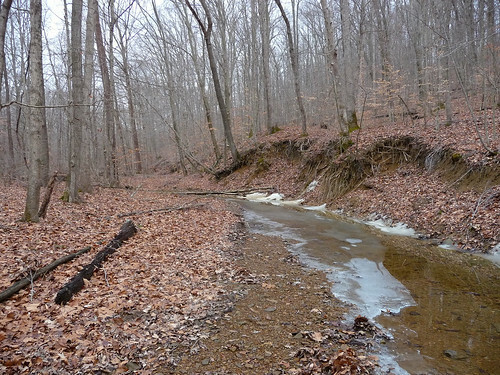 We couldn’t tell if it was a wide creek or a small pond, and the ravine was too steep to go down and check. We got to the bottom and followed the road back to the car, getting some more views of the lake. 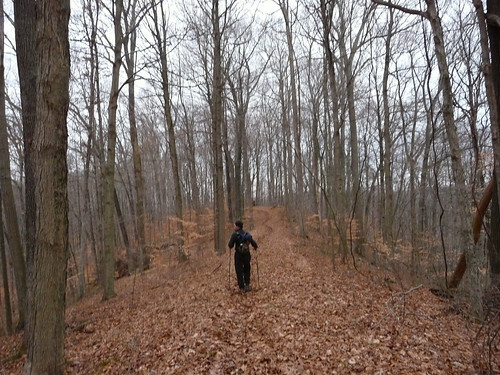 Later, we looked at my GPS and realized we had been pretty close to the water we spotted from the top of the ridge. We just turned the wrong way. Next time, we’ll be able to go there and see if there is, in fact, a pond. 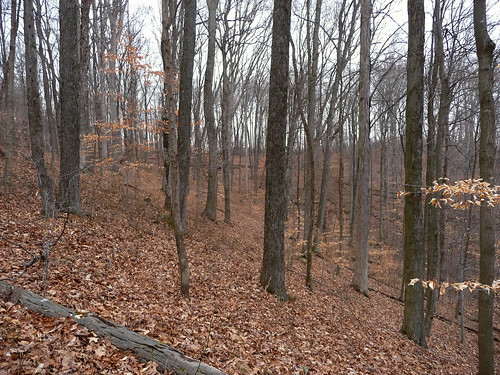 It was a fun hike of about three miles, with a couple of good climbs and some great scenery. And it was great to see Dave, I hadn’t hung out with him since before Christmas since he was sick, and we’ve both been busy. I have been to few places that I consider spectacular, both in America and abroad. None however were even close to Patagonia.